Dave “Professor Dave” Malter, MA, is the Director of the Touro University Masters in Camp Administration and Leadership and a frequent speaker at camp conferences around the United States. He earned his BA in Communication from James Madison University and his MA in English/Writing Studies from Montclair State University. Dave has been involved with camps and youth development for over twenty years as a camper, counselor, administrator, teacher, and consultant. Dave grew up at Camp Discovery in New York where he spent eight summers as a camper and seven summers working with special needs campers. 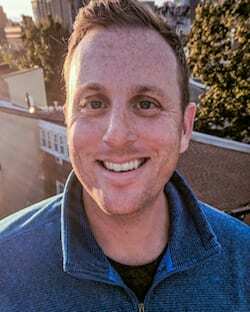 He went on to become the Director of Fun at Meadowbrook Country Day Camp and after several years joined the American Camp Association’s New York professional office working on educational initiatives. During his time at ACA-NY, Dave was an integral part of designing the program of the Tri-State Camp Conference which is the largest gathering of its kind in the world. When he graduated from his Tri-State position, Dave joined Pine Grove Day Camp in New Jersey as the Assistant Director. In addition to his work with camps, Dave is a professor at Temple University’s Fox School of Business. His passions are deeply rooted in providing innovative educational content and opportunities for youth leaders at all levels. Dave has published articles in trade journals and on industry websites. Among his many contributions to Expert Online Training are his Press Play lesson plans that integrate EOT videos with in-person, director-led training sessions. He now serves as the Conference Chair for ACA-Keystone Fall Retreat and the Professional Development Chair of the ACA-Keystone Local Council of Leaders.